I’m currently in Eastern Europe leading the University of Pittsburgh’s new study abroad program – “Roma/Gypsy Music, Culture, and Human Rights in the Czech Republic and Hungary” (May 24-June 15, 2014). 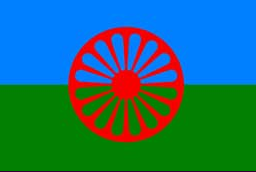 Please click the posts at right to read about our students’ experiences as they learn about the lives and music of Roma people. Please do not reproduce any portion of this blog, words or pictures, without the author’s permission. All contents are © Adriana Helbig, 2014. All rights reserved.